THE Australian dance-lover had plenty to enjoy in 2013, as long as there was a decent travel budget to hand. Paris Opera Ballet returned to Sydney, the Bolshoi had a season in Brisbane, The Australian Ballet premiered a new version of Cinderella by Alexei Ratmansky (Melbourne and Sydney only, although Adelaide sees it in 2014), Queensland Ballet had extended sell-out seasons under new artistic director Li Cunxin, West Australian Ballet brought Onegin into its repertoire and Sydney Dance Company got even more glamorous. Those were the big events of 2013. Unfortunately there were fewer small-scale gems, or at least few I was able to see. In the wide, brown land it’s not always possible to find oneself in the right city at the right time to catch up with the leading contemporary companies and independent artists, particularly when seasons can be cruelly short. There was also a lot of déjà vu when it came to international visitors. Of course one would never knock back the chance to see Sylvie Guillem, or Akram Khan’s work, or Fabulous Beast Dance Theatre, but the names bob up again and again. I acknowledge, however, that I travel around the country to see dance more than most people do. Perhaps I just get out too much. What follows, therefore, isn’t necessarily a reflection of what was best (although much was terrific), but what was memorable. 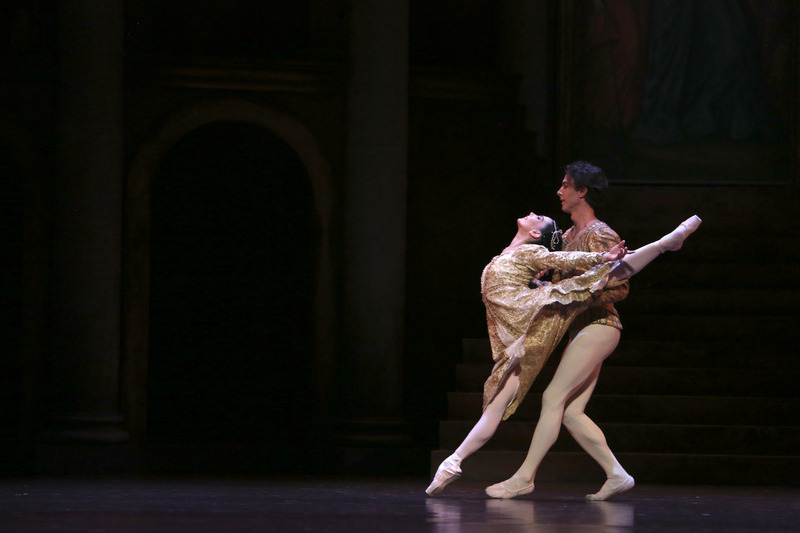 The AB nabbed Natalia Osipova and Ivan Vasiliev for performances of Don Quixote in Melbourne. Vasiliev roared on like a comet and didn’t let up from the get-go. He’s no text-book classicist, but gee he’s fun to watch. Dancing the lead gypsy, resident AB firecracker Chengwu Guo threw in a cheeky backwards somersault just to remind the audience there were other men on stage. Later in the year, after dancing Basilio with boyish charm, Guo was promoted to senior artist. By year’s end he was a principal artist, promoted onstage after a high-flying appearance as James in La Sylphide. A very wise call on the part of AB artistic director David McAllister. Also at the AB, Daniel Gaudiello got more opening nights (Basilio, James, the Prince in Ratmansky’s Cinderella), and rightly so. QB’s Li Cunxin likes him too. Gaudiello was a guest artist in Brisbane for Giselle – making his role debut as Albrecht – and will appear in 2014’s Romeo and Juliet as Mercutio when QB stages the MacMillan production from late June. Still with the AB, Leanne Stojmenov had the role of her career in Cinderella, and in The Four Temperaments and Dyad 1929 (part of the Vanguard program), evergreen principal Lucinda Dunn exuded wisdom and sensuousness in works that can look all too coolly intellectual. Also on that bill was Kylian’s Bella Figura, in which corps de ballet member Ingrid Gow had one of those break-out moments. In Brisbane, it was adorable to see Alexander Idaszak, in his first year out of the Australian Ballet School, be given the chance to dance Albrecht and to do it with such composure (he’s already moving on, however, to Royal New Zealand Ballet, which also has a starry artistic director in Ethan Stiefel). 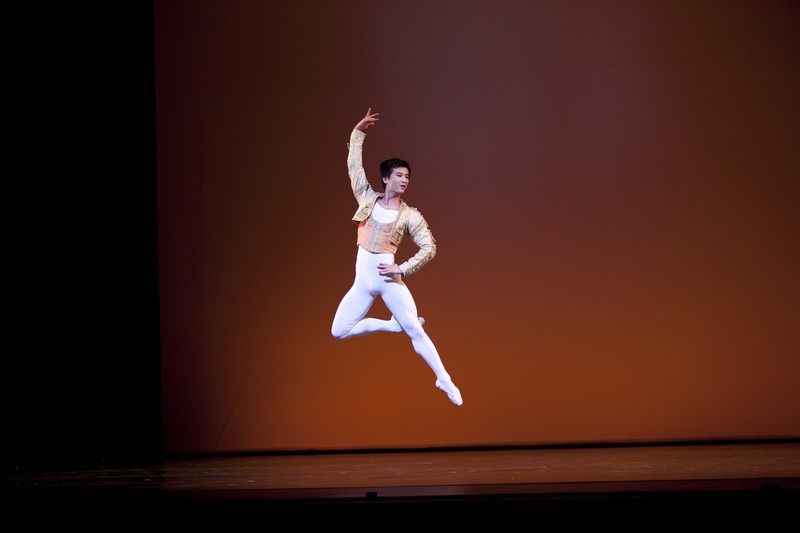 Li showed faith in another newbie, Emilio Pavan, when he was cast as the Prince in The Nutcracker, an assignment he carried out with much promise. Li added Natasha Kusch to his already lustrous group of female principal artists, and she was astutely paired with former AB dancer and now Dutch National Ballet principal Remi Wortmeyer in Nutcracker. It was a sparkling partnership. In Perth, new artistic director Aurelien Scannella has restructured the company, creating principal artist, soloist, demi-soloist and corps de ballet ranks. On the opening night of Onegin – secured for WAB by former artistic director Ivan Cavallari – WAB showed off its new principal, Jiri Jelinek, formerly with Stuttgart Ballet and National Ballet of Canada (he is now a guest principal with the latter). Senior women Jayne Smeulders and Fiona Evans, now principals, were completely different and very fine Tatianas, and Matthew Lehmann found himself promoted to the top rank after his Onegins. POB’s Giselle performances gave us the luminous, diaphanous Dorothee Gilbert and the role debut of Myriam Ould-Braham, a dancer made for this role. Mathieu Ganio, aristocratic to the last molecule, partnered both but Ould-Braham’s sweet simplicity seemed to make him warmer and ever-so-slightly gentler. In the Bolshoi’s The Bright Stream, a delight from beginning to end, Maria Alexandrova was exceptionally vibrant, witty and warm. The AB managed to insinuate itself into David Hallberg’s very full diary for three performances of Cinderella in Sydney. The refinement, grace and noble partnering of the American Ballet Theatre and Bolshoi principal artist were a perfect fit for Ratmansky’s ballet, and Hallberg even managed to make something of the Prince’s travels, one of the slightly less successful parts of Cinderella. Hallberg’s Cinderella was Amber Scott, whose other-worldly delicacy made her a lovely match for this prince among princes. A special mention goes to Sydney Dance Company as a whole. It’s a spectacularly good-looking ensemble. As you’ll see from the above, there wasn’t a lot of surprising work on offer. From the tourists, the Bolshoi’s The Bright Stream and Fabulous Beast Dance Theatre’s down-and-dirty The Rite of Spring were outstanding. Locally, SDC’s Cacti, the exceptionally amusing work by Alexander Ekman, and the AB’s Surrealist Cinderella made most impact. Well, Cinders looked much better in Melbourne, but what can you do? I also was extremely taken by Dance Clan 3, Bangarra Dance Theatre’s studio showing of new work. This time four of the company’s women – Deborah Brown, Yolande Brown, Tara Gower, Jasmin Sheppard – took up the challenge, and did so most movingly. One of those terrific evenings when you have no idea what’s ahead. I didn’t get a lot of that this year. I’ve said this quite a lot elsewhere, but I love the way SDC’s Rafael Bonachela is engaged with other artists from other forms. Les Illuminations brought together SDC, string players from the Sydney Symphony Orchestra, conductor Roland Peelman, singer Katie Noonan and fashion designer Toni Maticevski to celebrate the centenary of Benjamin Britten. It was a standout, and a pity there were so few performances. 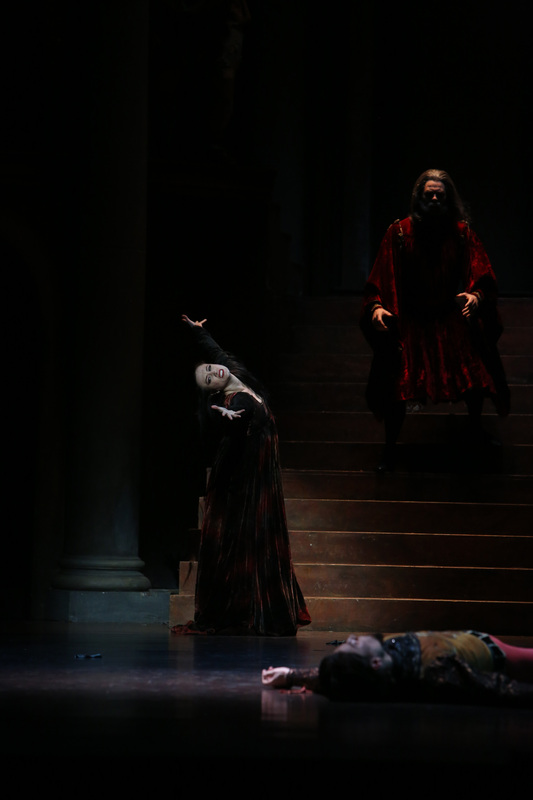 In Brisbane Queensland Ballet has taken advantage of the state government’s new Superstar Fund to lock in big-name guest artists for its mid-year Romeo and Juliet. 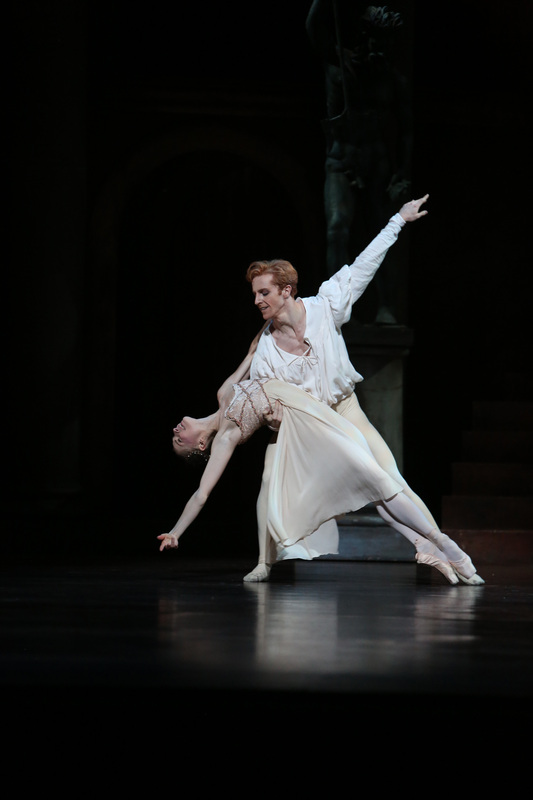 Carlos Acosta, Tamara Rojo and Sydney-born Royal Ballet luminary Steven McRae come to town. Gaudiello will be back too – it’s so good to see this wonderful dancer getting more recognition. Another big idea for QB is the institution of The Nutcracker as an annual Christmas event. Time will tell whether it will catch on indefinitely, but this year’s season did boffo box-office. The Australian Ballet’s 2014 season announcement showed a small but potentially important programming shift. Instead of the usual and unvarying number of performances given to each program, regardless of audience appeal, the AB will now give shorter seasons of the contemporary rep. 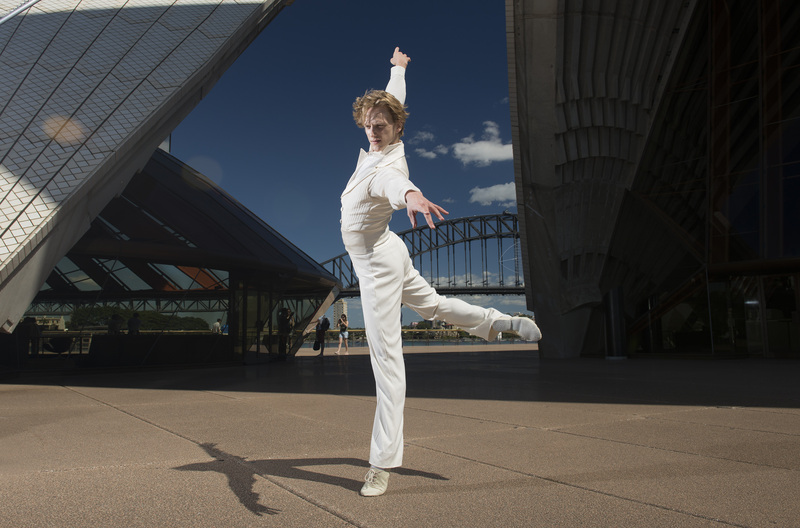 This is most noticeable in Sydney, where there will be nine performances of the Ballet Imperial/Suite en Blanc double bill (May 2-17) and 10 of the Chroma/Sechs Tanze/Petite Mort/ New Baynes work bill (April 29-May 17). Note the overlapping dates – yes, programs in repertory! As mentioned, WAB has introduced the kind of ranking system most usually seen in larger companies. Aurelien Scannella has forcefully talked about having more dancers (predecessor Cavallari got WAB a huge boost during his time). Can Scannella manage a further upwards trajectory in a city that has a huge appetite for big stuff but not so much for throwing money at the arts? And at a difficult time for the state’s finances? Worth keeping an eye on. As is QB’s obvious ambition to provide not just an alternative, but a competitor, to the AB. One of the sweetest pleasures of 2013 was Gideon Obarzanek‘s Dance Better at Parties for Sydney Theatre Company, a play based on his dance work for Chunky Move that had its genesis nearly a decade ago when Obarzanek interviewed men about movement. The play, a two-hander for Steve Rodgers and Elizabeth Nabben, was simplicity itself. A bereaved man comes to a dance studio to learn how to dance, which may help him fit in socially, but really he is in desperate need of contact. To be touched. And the audience was touched too, very deeply. The big, big loss this year was the cancellation of Spring Dance, the festival inaugurated by the Sydney Opera House and now pulled out of the calendar. Yes, it was costly, but gave contemporary dance a highly visible platform from which to entice audiences. Fragments of it remained – Les Illuminations (see above) and Akram Khan’s iTMOi – “In the Mind of Igor” – which did not entirely convince me. Freeze Frame, the collaboration between the Brisbane Festival and Debbie Allen, was well-meaning but lacked coherence in just about every department. Allen wrote, choreographed and directed. And appeared in it. There’s a hint right there. His Majesty’s Theatre, Perth, is entirely inadequate for ballet of any scale. The sets for Onegin had to be cut back and squashed in and the sightlines are terrible from many seats. Tough cheese though. It’s unlikely there will be another new theatre in Perth for a decade or more – the State Theatre Centre of Western Australia, home to Black Swan State Theatre Company and Perth Theatre Company, was opened in 2011. Poor old WAB is not well served at all. In July Alastair Macaulay, dance critic for The New York Times, set out to describe the attributes of an American ballerina, and was even prepared to say how many women in US companies currently deserve to bear the title of ballerina. The number is not great: “at least 10” is what Macaulay was prepared to say. In reply, in the December/January edition of Pointe magazine, Gillian Murphy – a principal dancer with American Ballet Theatre and principal guest artist with Royal New Zealand Ballet – gave her perspective. Along the way she had this to say about RNZB’s Lucy Green, a young Australian being given important roles with the company: “I am excited to watch a young dancer with extraordinary promise grow into a star.” Murphy praises Green’s dance attributes, then continues: “However, for me, it is her work ethic, her imagination and her sensitivity to others that really classify her as a ballerina in the making.” Murphy admires dancers who “encourage greatness in everyone around them”. Beautiful. I’m including RNZB here again because I can. The month is July, a performance of Swan Lake, featuring Lucy Green as Odette-Odile, has not long finished, and RNZB staff and dancers past and present have gathered for a late-afternoon party to celebrate the company’s 60th anniversary. Wellington is shaken by an earthquake – a big one. Everyone dives to the floor, which is moving alarmingly. The tremors stop, we all get up and the party continues. Well, that’s one way to cut the speeches short. Next up, what’s of interest in 2014? IN many places in the northern hemisphere, but particularly in the US, seeing The Nutcracker at Christmas is as necessary as having gifts and dressing a tree. There’s another necessity too: so popular has The Nutcracker become that it keeps many a ballet company afloat financially. In Australia’s snow-free summers The Nutcracker has had no purchase as an annual event, although The Australian Ballet will present Peter Wright’s Birmingham Royal Ballet production next year, four years after its last outing. Brisbane, however, is promised its own Nutcracker tradition, starting right now. Queensland Ballet artistic director Li Cunxin is banking on his audience coming back every December to see Ben Stevenson’s version, and if the response from two audiences on the first Saturday of the season is a guide, his instincts remain acute. In choosing a production that involves large numbers of young children, Li is giving Brisbane dance students something special to aspire to, and on a pragmatic note, there will always be friends and family who want to see them perform. This year’s season extended to 17 sold-out performances. Stevenson’s approach to The Nutcracker is straightforward, although bumpy in one or two spots. The Stahlbaum family is having a lively Christmas party at which Dr Drosselmeyer performs a few magic tricks and Clara, a girl who is not quite grown-up but more than a child, receives a nutcracker doll as a gift. Her brother, Fritz, who appears to have a rather dismaying affection for his toy rifle, rattles around the place boisterously, life-size Soldier, Nurse, Harlequin and Columbine dolls perform and older folk fuss about and do a few steps. At the evening’s end Clara falls asleep, dreams of her doll coming to life, and is swept into a world of pesky rats, brave soldiers, a handsome Prince and a journey through the snow to a land where everything is sweet and the Sugar Plum Fairy holds radiant sway. One could wish for a larger company of rats – unusually they are on pointe – and soldiers to do battle with one another but otherwise QB’s relatively small forces fill the stage admirably at the party, as snowflakes at the end of Act I and in the usual set of Act II dances. The grand pas de deux for Prince and Sugar Plum Fairy was danced with much brilliance at the first Saturday matinee by QB’s newest principal artist, Natasha Kusch, and guest artist Remi Wortmeyer. Wortmeyer was previously with the AB (big loss) and is now a highly admired principal with Dutch National Ballet. Kusch and Wortmeyer were exceptionally well matched for purity of line and sparkling detail. Kusch glittered with the hard-edged brilliance of diamonds but also filled the music sumptuously – a gorgeous combination. Wortmeyer’s dancing was plush, buoyant and joyous, qualities that papered over the fact that once the Nutcracker doll turns into the handsome Prince, he essentially discards Clara for more glamorous partners. As the first Saturday night’s Suger Plum Fairy, Clare Morehen radiated beauty, calm and benevolence, which doubtless helped her young and inexperienced Prince greatly. Emilio Pavan is another of Li’s bright young men being fast-tracked to important roles and looks most promising. He danced cleanly, forcefully and with becoming modesty. Stevenson provides a second ballerina role, that of the Snow Queen, danced at both Saturday performances by Meng Ningning in magisterial form. The Prince gets to partner her too, which sidelines Clara at a crucial part in her journey. Furthermore, the Prince is given a bravura solo to the children’s wordless chorus that couldn’t suit the music less. Still, once Clara finds herself in the Kingdom of Sweets she is given appropriate honour, although not a great deal of dancing. It was pleasing to see the keen intelligence and warmth of Lina Kim (afternoon) and engaging exuberance of Teri Crilly (evening) in the role. As for the disparate Act II dances, who knew the Arabian could be such a hit? It usually seems interminable, but as danced very strongly and sexily by Mia Thompson and Alexander Idaszak on Saturday afternoon it had the crowd cheering. Sarah Thompson and Nathan Scicluna got a similar reception in the evening. It was also a relief to see the Chinese dance done with acrobatic and martial inflections rather than embarrassing foot shuffling and head nodding. Stevenson’s ballet is perhaps more workmanlike than thrilling, particularly when sections of choreography are irritatingly antithetical to the music. But the key moments are lovely, the production looks handsome and the Queensland Symphony Orchestra is on hand for Tchaikovsky’s imperishable score, conducted by Andrew Mogrelia. What does an annual Nutcracker mean for the QB repertoire as a whole? Unless the company manages to increase radically in size (in The Nutcracker company members have to assume several roles), one assumes it means one less new mainstage production each year. 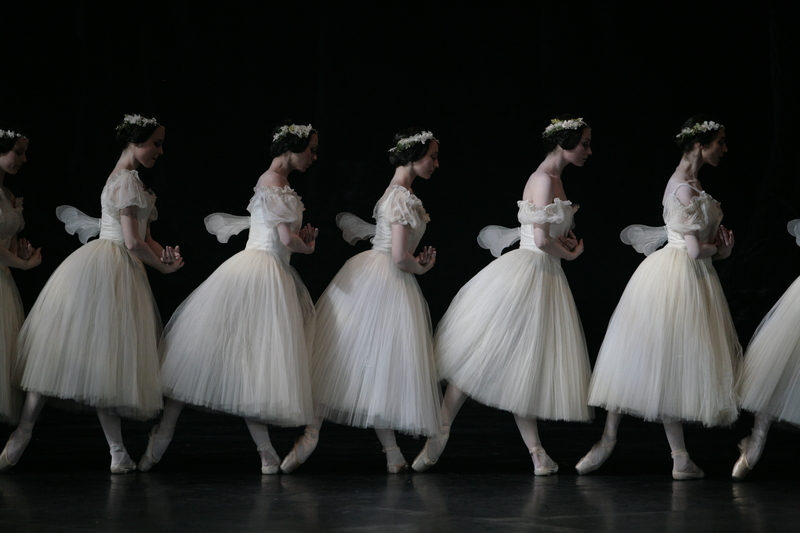 This year the QB performed three new full-length works in Brisbane – Giselle, Cinderella and The Nutcracker – as well as a contemporary program and two studio seasons. Next year there’s a new Coppelia, the Kenneth MacMillan Romeo & Juliet and the Nutcracker repeat. There’s also a regional tour of Cinderella as well as the programs of contemporary and new work. Li may well feel that two new full-length programs is quite enough to have on the plate with the QB’s other responsibilities, not to mention the cost of new work. He will ultimately be able to bring his new Giselle, Cinderella and Coppelia back into the mix, but not for a couple of years. I believe he will be staging La fille mal gardee – the production West Australian Ballet is premiering next year – in 2015, so that’s another story ballet to add to the list. The Nutcracker, meanwhile, will be bedded in and paying itself off. I note that while there are 17 performances of The Nutcracker this year, there are just nine performances listed for 2014. There’s also room to add shows if those sell out, but at the moment the approach is a reasonably conservative one. Clever planning, I think you’d have to say. Ends December 21. All performances are sold out, returns only. There is a free outdoor screening on December 21 at River Quay, South Bank, Brisbane, 7.30pm. DAVID Hallberg is not only a prince among men in ballet; he is a prince among princes. On Saturday night, in his final performance of three as the Prince in The Australian Ballet’s Cinderella, he was in his element. That is to say, he wore the dramatic requirements of the role like a second skin and was at one with Alexei Ratmansky’s choreography, which asks for an entrancing combination of a luscious, yielding upper body and a swift, razor-sharp lower body. Hallberg understands that regal comportment is an inner quality; there is no need for arrogant display or overt signs of command. Thus, this Prince wore his nobility lightly, unpretentious in manner and alert to those around him. His ardour for Amber Scott’s Cinderella – lacy, glowing, ultra-romantic – felt deep and true. Every moment seemed fresh and unforced. The clarity and refinement of Hallberg’s technique are wonders, and have brought him to the pinnacle of not one but two great ballet companies – he is a principal artist with American Ballet Theatre and the Bolshoi Ballet. How fortunate the AB has been to have him as a guest twice (Hallberg danced in Melbourne in the Wright Nutcracker in 2010, before joining the Bolshoi, and would have appeared at the AB’s 50th anniversary gala except for injury). Let’s hope there’s more.